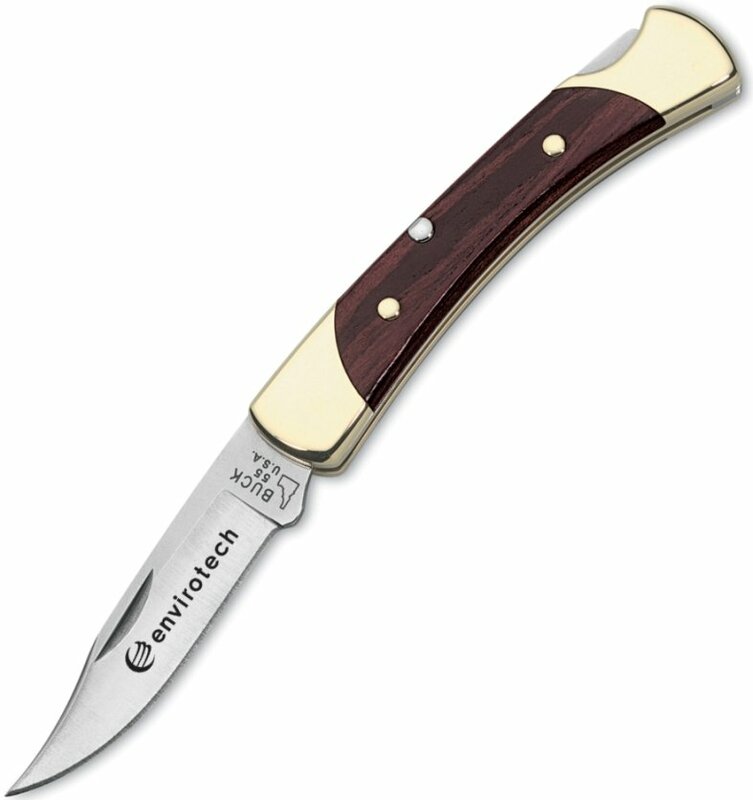 Authentic Buck Knife with your logo engraved on the Folding 55 Knife. Rockwell hardness 58. Buck branded packaging box included. Handle length 3 3/8", Blade length 2 3/8", Blade Type - Clip. Price includes custom engraving on the blade 1 1/4" w x 5/16" h.